Wright & Greenhill, P.C., emerged from a predecessor firm that initially opened an Austin office in 1969. We have practiced law in the Chase Tower at 6th Street and Lavaca since 1974. Many firms have come and gone over the years. 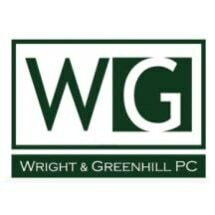 Wright & Greenhill, P.C., has persevered by retaining a solid partnership dedicated to the idea of providing consistently excellent client representation. This stability and chemistry, forged in decades of practice and collaboration, create a strong foundation for desirable results. Our attorneys come from a variety of backgrounds and practice areas, and each lawyer's unique perspective is valuable in pursuing the results our clients expect. From our offices in Austin, we work with clients throughout the state of Texas. To learn more about our practice and schedule a consultation, please contact us online or call us at 512-961-4389 or 800-787-9579 toll free.